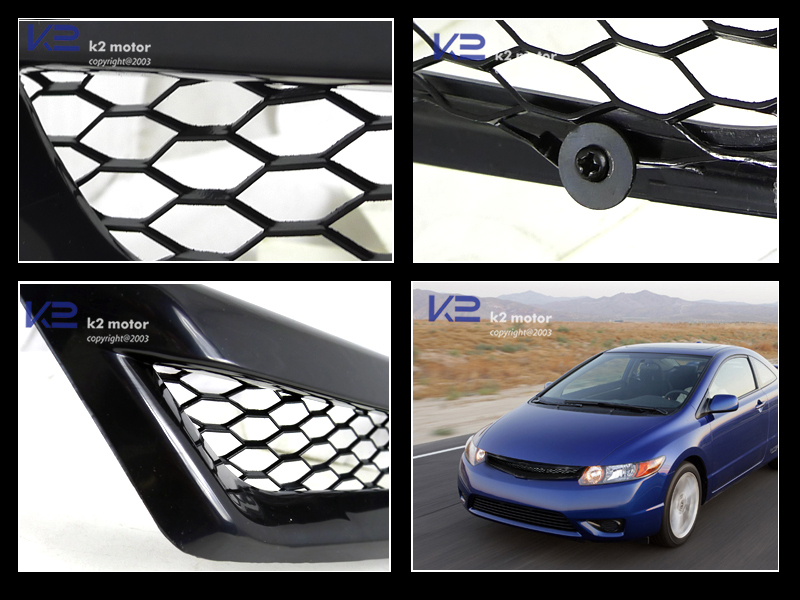 A Brand New In Box Mesh Grills For 06-08 Honda Civic 2Dr . Made Of High Quality A.B.S. Plastic, And Feature Flat Black Finish. You'Ll Be Surprised By The Bold & Aggressive Look Of Your Car Provided By This Grill. When It Comes To Manufacturing Quality Product, K2Motor Ensure Precise Fitment & Quality Design, While Providing Low-Price To Our Customers. The Grill Is Securely Mounted By The Original Screws & Nuts Of The Oem Grill, No Wire Ties Are Used. Installation Should Take About 1 1/2 Hours. If You Are Unsure About Installing Automotive Accessories By Yourself We Recommend Consulting A Body Shop Or Restyle. Made & Designed For 06-08 Honda Civic 2Dr . Fits: 06-08 Honda Civic 2Dr. 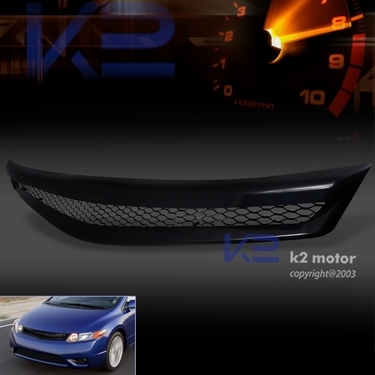 06-08 Honda Civic 2Dr Si Tr Hood Grilles - Black A Brand New In Box Mesh Grills For 06-08 Honda Civic 2Dr . Made Of High Quality A.B.S. Plastic, And Feature Flat Black Finish. You'll Be Surprised By The Bold & Aggressive Look Of Your Car Provided By This Grill. When It Comes To Manufacturing Quality Product, K2Motor Ensure Precise Fitment & Quality Design, While Providing Low-Price To Our Customers. The Grill Is Securely Mounted By The Original Screws & Nuts Of The Oem Grill, No Wire Ties Are Used. If You Are Unsure About Installing Automotive Accessories By Yourself We Recommend Consulting A Body Shop Or Restyle.